Washington channels different forms of sweeping, pungent urgency from the past. 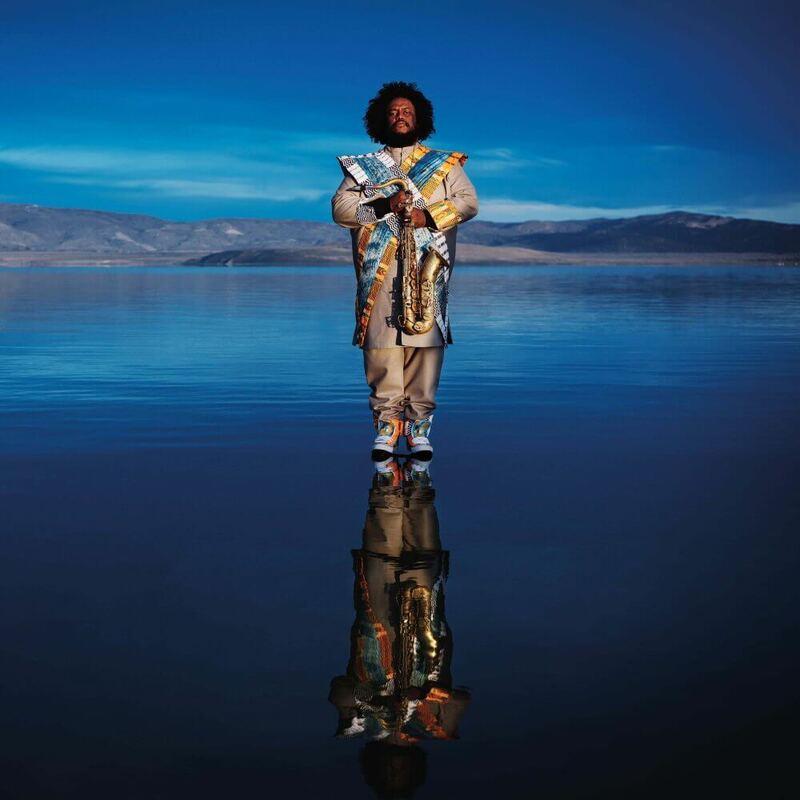 Tenor saxophonist Kamasi Washington’s breakout 2015 album The Epic captured the imagination of listeners inside and outside the narrow jazz audience. 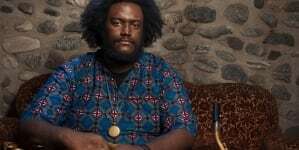 Perhaps because he had just contributed significantly to Kendrick Lamar’s classic To Pimp a Butterfly, the hype was that Washington was fusing jazz and hip-hop in a new way. 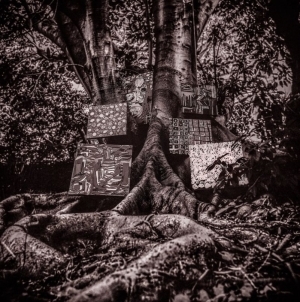 Heaven and Earth, Washington’s new multi-disc recording, is a direct successor to The Epic, and it underlines that the artist is not particularly concerned with hip-hop but, rather, is finding exciting ways to bring multi-directional jazz from the ‘70s into the present. 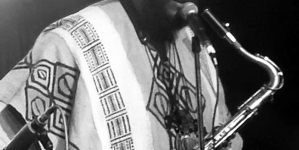 The new album’s basic sound matches that of its predecessor. Washington uses a talented group of musicians (the “West Coast Get Down”), supplemented with horns, strings, and singers to produce extravagantly colored jazz that directly echoes the work of Pharaoh Sanders and a few other artists from the late ‘60s and early ‘70s. Hip-hop, just to be clear, isn’t much of a factor here (nor was it on The Epic), rhythmically, vocally, or otherwise. Rather, the excitement of Heaven and Earth comes from the way that Washington channels different forms of sweeping, pungent urgency from the past with the eclectic instrumental approach of millennial improvisers. There is a ton of excitement. But there is also a big mess of oddly throwback—often schlocky—arranging. Too often, the music sounds like so much spaghetti thrown against the wall to see what sticks. Strings will sweep in like this was pop from the ‘40s or early ‘50s, for example, or a choir will angelically lift things to a new level. But is it a new level of thrill or silliness? Still, the ambition of it all provokes awe. Conceptually, the first disc (“Earth”) is grounded in the practical and the second (“Heaven”) is transcendental, though the band and sounds vary only slightly. The opening track, a rethinking of the theme from the Bruce Lee film Fist of Fury, could be a thesis statement for the whole collection: It begins with a pounding figure over clattering percussion, but the strings and the wordless choir enters soon with a weirdly square solemnity. The arrangement is not hip or modern but more like a piece of shtick that might be “cool” with a wink. The lyrics are set out by Patrice Quinn and Dwight Trible, sounding more political than kung-fu in the context for 2018 (“Our time as victims is over”), but the Cameron Graves piano solo that follows—busy, frenetic, wild, active—is the star, and a huge relief. Here at last, the performance has originality and fire rather than camp. Washington follows with his busy tenor solo, and it is strong as well, though the leader’s debt to Sanders and Archie Sheep remains etched in most of his improvisations. When the strings and singing return, with recitations, cries, exhortations and falsetto “Ohhhh yeahs,” you hear the spaghetti hitting the wall hard. Most of it sliding downward. Not all of Heaven and Earth carries this much conceptual and musical weight. There are compositions with punch and fire that don’t rely on gimmicks. “The Psalmnist” has a punching motif that is repeated and turned into a hip theme that releases into a flowing bridge. This is where the band seems most comfortable, with a groove that pushes forward, Fender Rhodes electric piano laying in like candy on the vamp. Ryan Porter flies all across the chords on his trombone, underpinned by drumming that is not loud but utterly insistent. The heart races despite—or because of?—the lack of strings, choir and raised consciousness. In other places, Washington goes for a kind of balance. “One of One” is largely driven by the sound of the band’s horn section, particularly the meaty tenor sax/trombone sonority, but the wordless voices of the choir lift the material a bit more into the clouds. At the climax of Washington’s ecstatic solo, the voices serve as an effective intensifier. A similar gambit is worked on “Street Fighter Mas.” It is a pure groove tune at the start, but the theme is gunked up by the choir. Without it, perhaps, the tune would merely be a four-chord funk groove, but given that the soloists rip, is that a crime? There are some straight vocal features on Heaven and Earth. “Testify” is a playful, happy theme for Quinn’s pillowy/raspy vocal approach. Is it praise or criticism to say that this sounds like one of Stevie Wonder’s lesser tunes? Quinn is out front on “Journey” as well, where she gets a much more original vehicle, her voice blending inventively with horns, organ and tippy-toe drumming. “Vi Lua Vi Sol” uses a vocoder on the head, riding on a percolating rhythm section and eventually folded into a deeper arrangement that uses both synthesizer and Porter’s trombone in inventive ways. Porter and Washington solo, with the heat rising all the way, climaxing as the tune almost (but not quite) spins off its harmonic track. 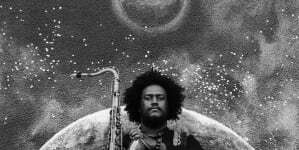 “The Invincible Youth” is rare in presenting some completely atonal music at the very start before it moves into another pretty tune set over a Jaco-esque electric bass part for Thundercat that meshes with fast triple meter drumming and a burble of Clavinet. Indeed, the influence of the ‘70s on Washington’s conception points not only to the grand material from Pharoah Sanders and McCoy Tyner but also to early fusion. “Can You Hear Him” has an appealing theme, but it is the synth solo that will stick with you. Thundercat’s few electric bass solos owe a significant debt to Stanley Clarke (from his Return to Forever days) as well as Jaco. In this era, playing a bass fast and high is still grandstanding. And thrilling. There is a web of other treats and disappointments on Heaven and Earth. “Will You Sing,” the final tune, is a great massing of grandiosity, for example, and may thrill some while making others writhe. “Song for the Fallen” uses polyrhythmic drumming and percussion to enliven a cool theme for horns that gets just a sheen of vocal/orchestral sweetening, and at just the right moment. “Tiffakonkae” avoids all the sweetening, yet it lifts your soul just as high as the material that is steeped in the lofty. Is it possible that, for whatever reason, music today seems to need extra padding from orchestral layers? Is this how music made without samples can compete with hip-hop for sheer sonic interest? But here’s a fantasy. As with The Beatles’ Let It Be, might there be future editions of The Epic and Heaven and Earth that strip out all the extra gobbledy-gook and let us hear the tunes without so much schmaltz? That opportunity exists already, though, as Washington has been touring with a smaller band and doing exactly that. A bit of the material, such as “The Space Traveler’s Lullaby,” might seem to be nothing without the oohing, ahhhing and wall of orchestral sound. But it would be nice to find out. 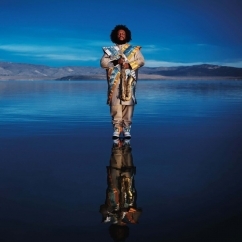 Kamasi Washington has become the de facto savior of modern jazz.